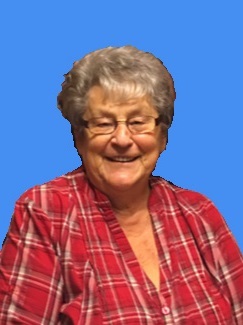 Obituary for Anne Hocko | Mission View Funeral Chapel Ltd.
On Tuesday, December 4, 2018 Anne Hocko of Lac La Biche, AB passed away at the age of 82 years. Anne is lovingly survived by her husband of 41 years William Hocko of Lac La Biche, children Brian (Cindy) Danchuk of San Marcos, CA, Deborah (Maxx) Bouchard of Grand Prairie, grandchildren BJ Danchuk, Jarrett Danchuk, Jaime (Shane) Duckworth, Justin Plamondon, Nicholas Plamondon, Nathan Plamondon, Mackenzie Bouchard, Gabrielle Bouchard, 7 great grandchildren, siblings Metro Mihalcheon, Sandy Mihalcheon, Lorrie Mihalcheon, Tom Mihalcheon, Clara Guerra, Helen Rayment, Lucy Yablonski, Liz Mihalcheon. At Anne’s request no service will be held. Donations to the Cross Cancer Institute would be appreciated.